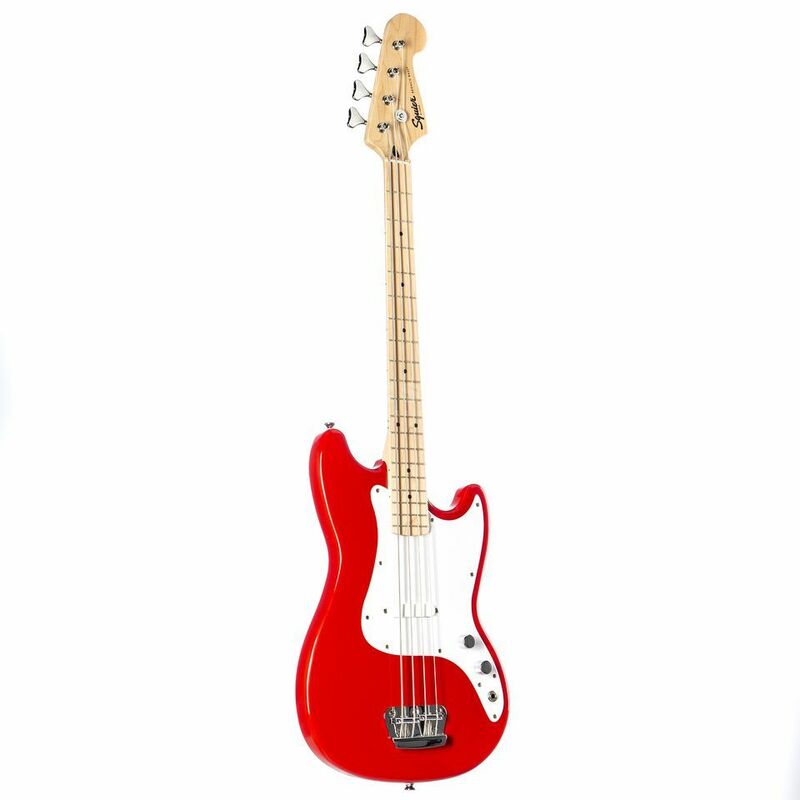 The Squier BRONCO BASS 4 String, Short Scale Electric Bass Guitar, Maple Neck and Fingerboard, Torino Red. Highly affordable, easy to play, great for beginners. The Squier BRONCO BASS guitar is great for guitarists who occasionally need a bass, younger beginners, smaller players, or for anyone who likes the feel of a short-scale (30 inch) bass. It tunes easily and sounds full and rich, thanks to its single-coil pickup, maple neck, die-cast tuners and solid agathis body.